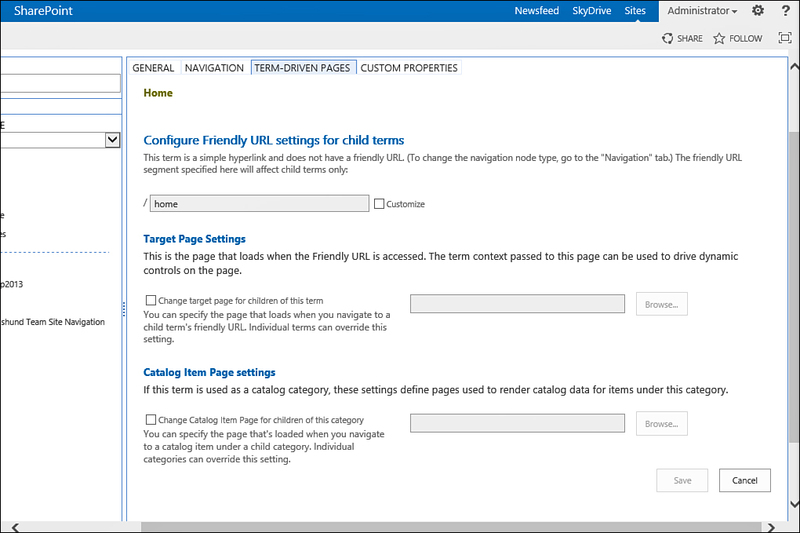 If you select Term-Driven Page with Friendly URL in the term’s navigation node type, you need to configure more options for this term. First, click the Save button, and then switch to the Term-Driven Pages tab as shown in Figure 5. 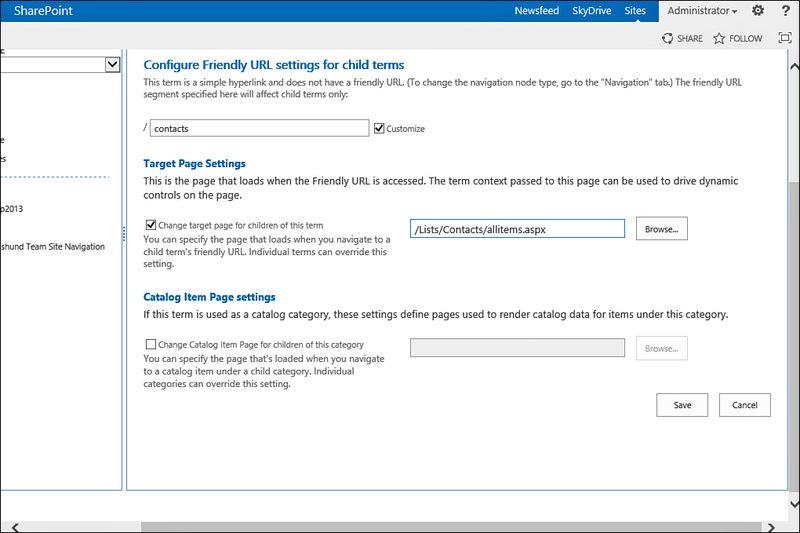 FIGURE 5 Term-Driven Pages configuration tab. 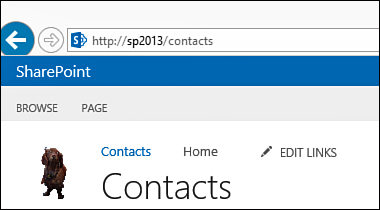 In this tab, you can customize the link that will be shown to the users in the address bar (for example “/home” as shown in Figure 5, or “/contacts” if you want a friendly link to the contacts list). You can then choose the target page that the users will be taken to when they click the link (for example, the default view of the contacts list) as shown in Figure 6. When you are finished, click Save. FIGURE 6. Adding a friendly URL to the contacts list. After configuring a friendly URL, users who click the link in the navigation will be redirected to the page you selected, but the address bar will show only the simple, friendly link you specified as shown in Figure 7. FIGURE 7 A friendly URL in the address bar opens the contacts list from the top navigation.